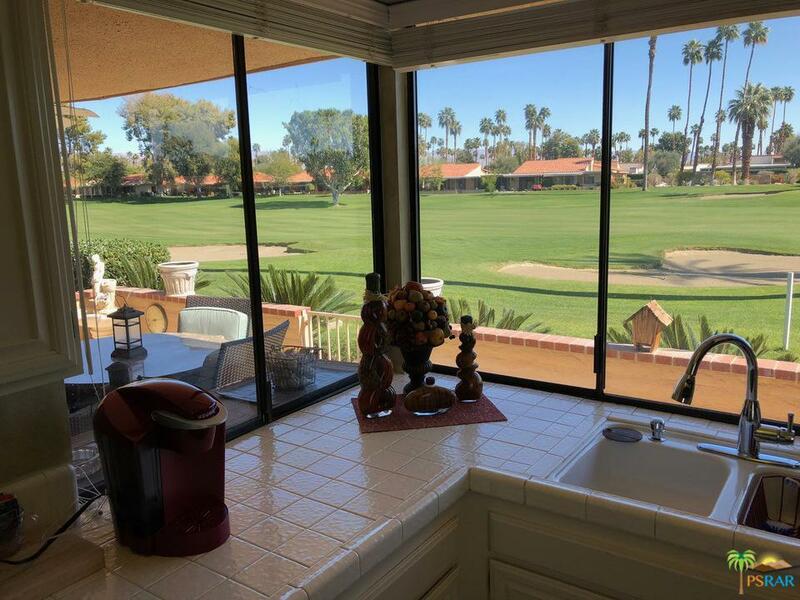 This 3 bedroom, 2 bath Barcelona Floor Plan in Sunrise Country Club has a fabulous golf course view looking straight across the 9th fairway from the living room and back patio, along with east facing mountain golf course views. 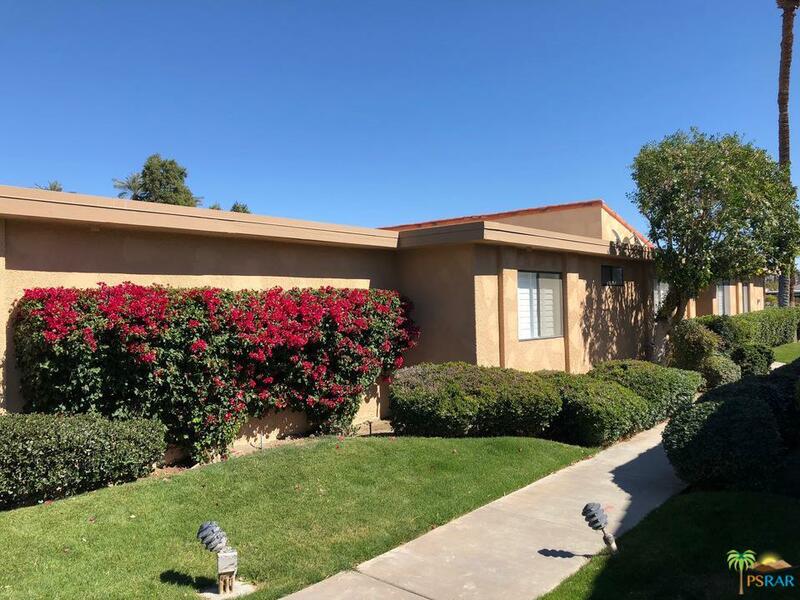 Stunning wood floors in the kitchen and family room with carpet in the bedrooms and bathrooms. 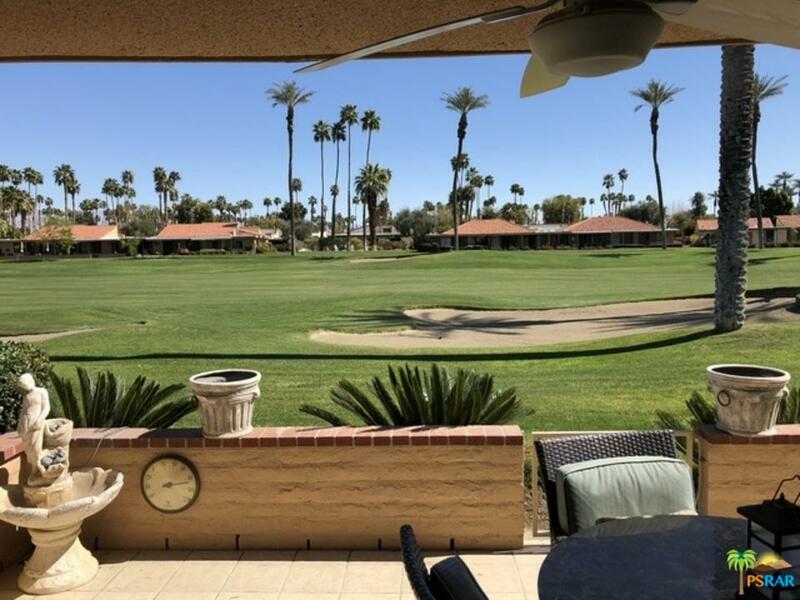 Sunrise Country Club is a guard gated community offering great golf and an excellent tennis facility. Sunrise is popular with year round and seasonal residents. 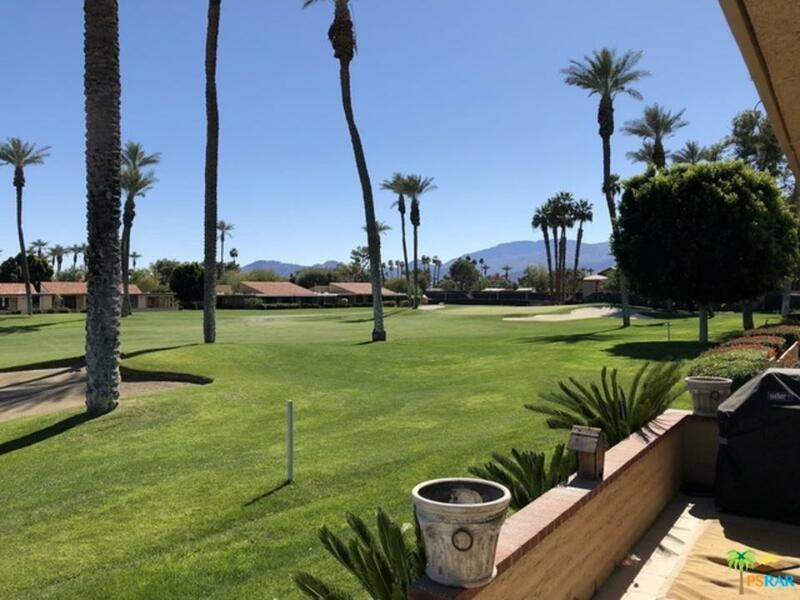 It is centrally located in Rancho Mirage and is convenient to shopping, entertainment and dining at The River and El Paseo.